"...Champion has the Manufactured and Modular Homes you want and a nationwide network of retailers to help you select and personalize a home you can call your own. Browse through over 2000 homes and find a sales center in your area..."
Information Package Information available on their website. For information packages you should contact the website for the individual product line directly. Editorial Review Champion Homes is one of the biggest players in the modular home market. They started in 1953 and have been very successful building over 1.7 million homes. From this success they expanded and acquired many other modular home providers. Their network includes these divisions Redman, Moduline, Summit Crest, Silvercrest, Atlantic, Titan, Fortune, Commander, Dutch, Gateway, Advantage Homes, Homes of Merit, New Era, Carolina Building Solutions, New Image, Highland Manufacturing, North American Housing and Champion Homebuilders. In 2009 they had some financial issues but fixed them and came back even stronger and starting consolidating some of the great modular home factories. They now have 28 home building factories across the United States. The original Champion Home product line is not our favorite but we are sure you will find a good match with one of their many other product lines just be careful you look at their modular homes and not their manufactured homes which aren't as high quality as the modular plans. They are so big they have a home for any budget and style preference. We do recommend that if you are interested in a Champion Home that you contact one of their local builders for faster customer service. I purchased a double wide home. They ASSURED me they would fix ALL the problems...that was 3 months ago. They said they were handing it off to Champion Homes in Claysburg (who built it) and NOBODY is doing ANYTHING, NOTHING to rectify the problems that were pre-existing! Its like they don't want bothered AFTER the sale is complete and try to pass you on to someone else. That was NOT the agreement!!! I was actually relieved that I wasn't the only Champion Home buyer that was having numerous defects in the construction and overall assembly of my mobile home. When I made my initial "button" list (which never ends) things like my toilet being hooked up to the hot water tank, no paint on the walls just texture, wiring crossed 110 with 220, smouldering wiring in walls, walls out of alignment, very large holes in walls where plumbing comes into the home where they knocked out the drywall with a hammer instead of cutting it out, the same is for the exterior doors. The electrical recepticles either protrude out of the walls or sink into the walls when you plug something in. The foundation of the "soaking bathtub" was broken, yet the manufacturer stated "oh it should be ok", constant dripping of water in the walls, but manufacturer says its just the house setteling. But it only happens when you flush the toilet. The list goes on and on. My initial list was 7 pages long and I had only gone through 2 rooms. Some things I don't know that it is defective until it breaks. My personal opinion of Champion? I wouldn't recommend them even to my worse enemy. Don't purchase a manufactured home from Champion. They DO NOT honor the warranty. I purchased a new manufactured home, I have lived there for 6 weeks. They make excuses to not fix defects in the home, they were not compliant with two California laws, and they even made excuses to not make the home compliant with the California laws. I purchased two condos in the past, and the builder always came to fix their homes, no problem. Not with Silvercrest, Champion. Purchasing a new home should be an exciting event, they have turned it into a nightmare. We invite you to share your personal opinion of Champion Homes. Please explain your like or dislike. 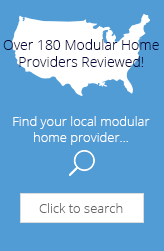 Modular Today is an independent and unbiased reviewer of MI modular homes and buildings. We strive to provide the most accurate information and regularly review our profiles for MI modular builders and modular home manufacturer factories. We will be happy to update a modular homes company profile with current updated information that can be sent to us via our contact form. "Personal Reviews" are the opinion of the poster and not of Modular Today. 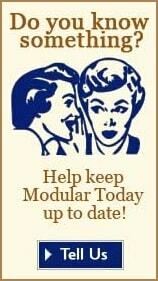 All logos, trademarks & brand names that appear on ModularToday.com are the exclusive property of their respective owners and are not property of Modular Today. Happy House Hunting!